U2 delivered a pair of rarities as 2018 tour debuts during the second of two shows in Copenhagen, Denmark on September 30. Rolling Stone reports the concert at the city’s Royal Arena saw the Irish rockers change the setlist to present the Experience + Innocence tour debut of the title track to 1984’s “The Unforgettable Fire” – its first appearance in eight years – and the “Zooropa” cut, “Stay (Faraway, So Close! )”, which Bono and the Edge last played acoustically in 2011, but the full band hasn’t performed it since the end of the Zoo TV tour in 1993. The group also played “Who’s Gonna Ride Your Wild Horses”, from 1991’s “Achtung Baby”, for the first time on the European leg of the trek, which wraps up in Berlin, Germany on November 13. 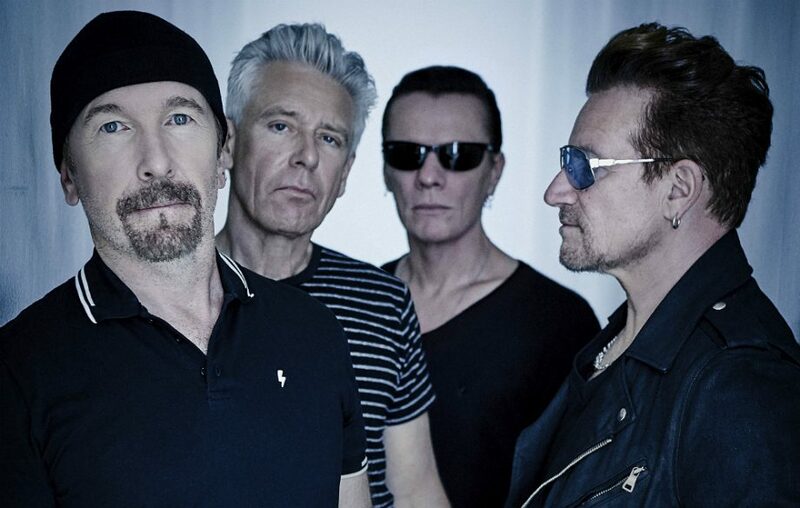 U2 just reissued their 2002 greatest hits set, “The Best Of 1990-2000”, on vinyl. Upon its original release, the collection contained two newly recorded tracks – “Electrical Storm” and “The Hands That Built America” - the latter written for and featured on the soundtrack to the 2002 film “Gangs Of New York”, alongside a selection of tracks remixed by Mike Hedges. The 2002 record charted at No. 1 in 13 countries while going on to sell more than 3 million copies across Europe and a million in the US.